The Fair Work Commission has today rejected a union claim that would have discouraged the hiring of new part-time and casual employees and jeopardised the employment prospects of young Australians, the Australian Chamber of Commerce and Industry said today. The Fair Work Commission rejected claims for conversion of casual work to full or part time work after six months and to impose 4-hour minimum shifts across the board. The Commission has instead adopted a more balanced approach enabling employees to seek to become permanent after 12 months in certain circumstances and adopting a 2 hour minimum shift requirement where awards are silent. “While the decision will create some additional red tape for employers, it recognises the important contribution casual and part-time work plays in our economy and in creating jobs. “The Australian Chamber and its members strongly opposed the union proposals for casual conversion and a minimum 4 hour shift which would have made it harder for businesses to give after-school jobs to students. We are pleased to see the Commission recognised the negative impact this would have, and overwhelmingly rejected the union claims. “Modelling for the Australian Chamber had estimated the union claim would have cost the Australian economy $3.7 billion a year, and the equivalent of 19,000 fewer full time jobs. “This was an anti-jobs proposal from the union movement – it was important that it be rejected not only from the perspective of business but for job seekers and the underemployed. “For many young people, a casual job is their first chance to take on paid employment. It gives them a chance to learn customer service skills, develop work ethic and earn some money, while accessing the flexibility that comes with not being bound by fixed hours. It can also provide a source of secondary income, including for those who want to earn some extra money or start a business of their own. Unemployed and underemployed Australians are at risk of becoming collateral damage in the unions’ campaign against productivity-enhancing and job-generating flexibility. 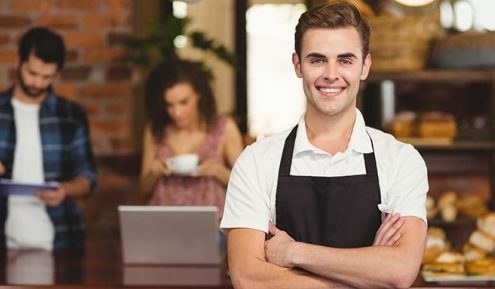 Over 700,000 Australians are looking for a job, and a further 1.1 million are underemployed and looking for more hours – employers are pleased to have successfully stood up for their job prospects and for doing business in Australia.